Josie Alise Greenwood, 3, of Grand Forks, North Dakota, saw and was carried to Heaven by angels, to be with God and his choirs, and all the saints, on Monday, April 9, at her home in the arms of her mother, and surrounded by so many of her beloved family and friends, after a brief and sudden fight with acute lymphocytic leukemia. 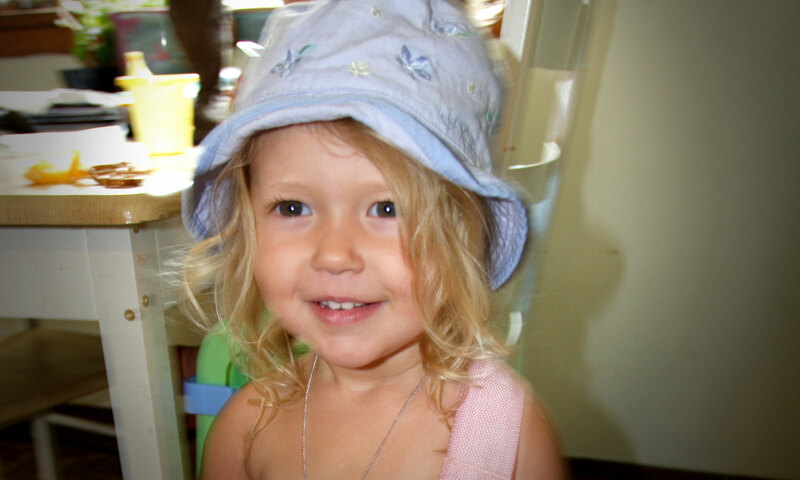 Josie was born July 18, 2003, in Grand Forks, the daughter of Nancy Marie Vasichek Greenwood and Joseph Edward Greenwood. She attended preschool at Saint Mary’s Project Kids and continues to be an original firestorm of pure love and inspiration to an awesome number of people who hear of her beautiful life. Josie loved to dance and sing, put on make-up and ride bike with her sisters, play lovingly with her many young friends around home and at school, wrestle her dad (“Um, Joey, excuse me my good man..”), snuggle with her warm mommy, visit her grandparents to feed the horses on the farm or to watch football games with her extended family of dear fans. She will be sorely and forever missed. May she be kept forever near God, and may we always find her there, and gloriously meet her there, all of us. Josie Alise is survived by, her parents, Nancy and Joe; sisters, Jordyn Seanna Thomas and Averi Rose Greenwood at home; maternal grandparents, Bonnie and Richard Vasichek, Michigan ND; paternal grandparents, Susan and John Greenwood, Jamestown, ND; uncles and aunts, Michele (Sam) Kersey, Houston, TX; Scott Vasichek, Michigan, ND; Karen (Jeremy) Leinberger, Edina, MN; Mike Greenwood, Grand Forks; great-grandmothers, Lorraine Greenwood, Jamestown, ND; Genevieve Shoman, West Fargo, ND. She was preceded in death by, her grandparents, Donald Greenwood, Joseph Shoman, Willis and Alice Riely, James and Rose Vasichek. In lieu of flowers, the Greenwood family prefers memorials to Merit Care Foundation , to support pediatric oncology research programs at MeritCare. MeritCare Foundation P.O. Box MC Fargo, ND 58122-0302. Mass of Christian Burial: 10:00 a.m., Friday, April 13, 2007 in St. Mary’s Catholic Church, Grand Forks, ND. Visitation: 5:00 to 7:00 p.m., Thursday in the Gregory J. Norman Funeral Chapel with a 7:00 p.m. vigil service and one hour prior to the liturgy in the church on Friday. Burial: Calvary Cemetery, Grand Forks, ND. Very special thanks to Gregory J. Norman and Norman Funeral Home, Grand Forks. 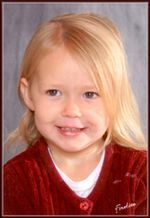 The online memorial registry may be viewed and signed at www.normanfuneral.com.